Tea At The Sea is a painting by Patricia Lang which was uploaded on April 16th, 2012. 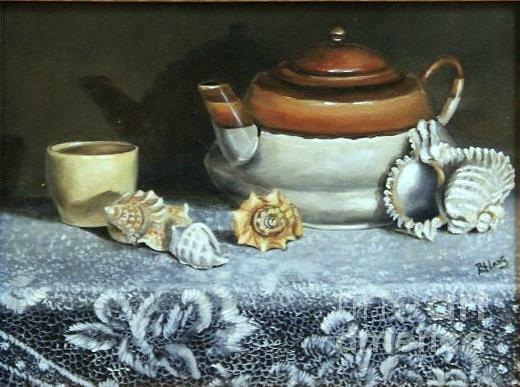 A still life painting of a tea pot resting on a lace covered table surrounded by shells and a small tea cup. There are no comments for Tea At The Sea. Click here to post the first comment.